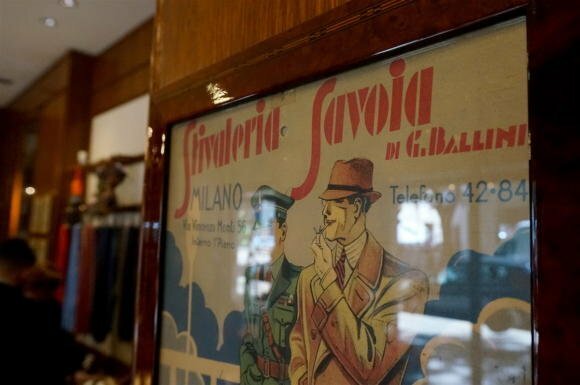 Stivaleria Savoia is an old Milanese bespoke bootmaker (stivaleria means bootmaker, and it was founded by craftsmen who made for the Savoia, or Savoy, cavalry). The designs are classic and practical, and unlikely to set any Instagram feeds alight. 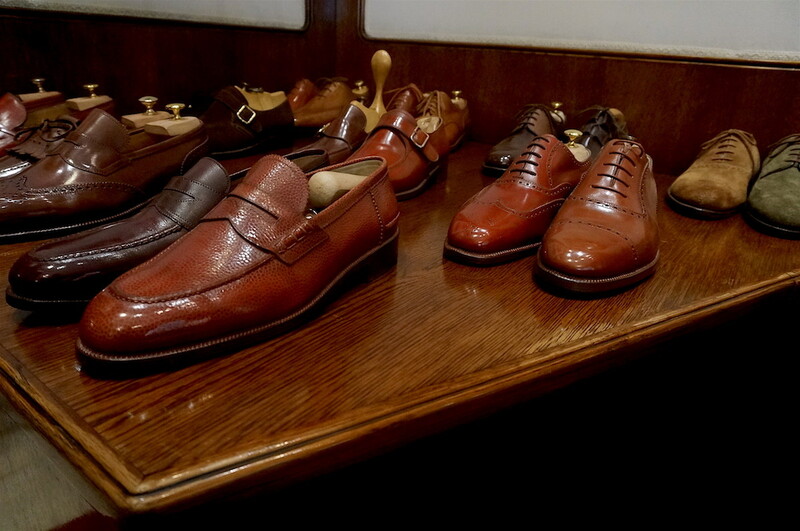 But it is steeped in history and very good value, with bespoke shoes starting at €2000. The group of craftsmen dates back to the 1870s, but the shop itself was founded in 1925, initially making boots exclusively. Today only about 5% of orders are for boots, but they can still make them - the most basic models starting at €3600. The business is largely bespoke, although there is also a ready-made line from Cheaney and made-to-order options done in Milan. The bespoke designs are all fairly traditional and understated, with a range of round and square toe shapes, but relatively square waists and heels. Monk straps are particularly prominent. Interestingly, Savoia do offer a narrower, more bevelled waist, but most orders are for the squarer, flatter styles. Famous customers over the years have included Italian, Moroccan and French royalty, as well as film stars new and old - Sylvester Stallone has been a customer, as he has of a few other makers. As is often the case with storied craftsmen, there is a beautiful book-based order system that involves one index volume and then several others containing measurements and order details. Savoia has five craftsmen: managing director Fausto Risi (pictured above), who does all the measuring and lastmaking; his wife Silvia, who does all the cutting; head shoemaker Filippo Ballatore, and two other makers. A lovely aspect of Savoia is that the workshop is right in the shop, with all the dust, grime and tools that prove you’re getting a handmade and highly sweated product. It’s behind glass, so none of that can contaminate the wood-panelled shop, but customers are encouraged to step inside and see the work going on. 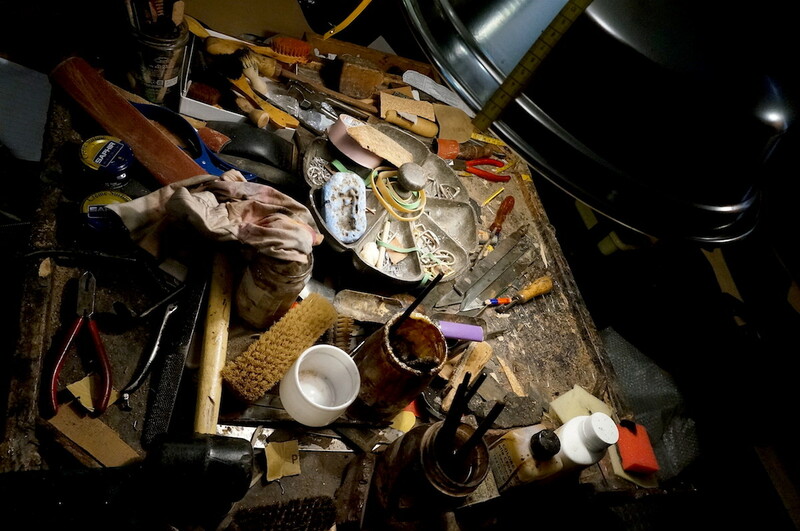 Several makers retain such visible workshops today, such as John Lobb Ltd on St James’s Street. But ideally anyone with that work going on should be displaying at least part of it. Value is hard enough to communicate at the best of times; if some aspect of it is physical and as difficult to ignore as a man stitching a welt, it should be put front and centre. Enchanted by the shop, and encouraged by Gianni of Sartoria Vergallo (who was there, as he conducts his Milan appointments there now, and whose assistant helped with translation), I commissioned a pair of dark-brown cap toes. Let’s see how they turn out. For a step-by-step guide to how a bespoke shoe is made - and therefore much of its value - see the series with Cleverley in London, collected here. You can follow the discussion on Stivaleria Savoia: Bespoke shoemaker, Milan by entering your email address in the box below. You will then receive an email every time a new comment is added. These will also contain a link to a page where you can stop the alerts, and remove all of your related data from the site. Great article, the images really capture the atmosphere and ambiance of Stivaleria Savoia. Could you please elaborate a little more on your latest commission (fitting process, materials available, the house style)? I’ll do that more in the second post, on the final shoes. Those penny loafers are gorgeous. Simon do you know how long it will take before your shoes are ready for you to try? I’ve searched for a classic black leather briefcase with straight lines rather than round edges and with an ultra minimalist design (no exterior pockets etc. )…but I’ve had no luck in my price range of up to 500 pounds. I’ve seen some made by Valextra and Louis Vuitton, which – alas – are too expensive for me. Would it be possible to have such a briefcase made for under 500 pounds? No immediate thoughts, but I’ll bear it in mind. 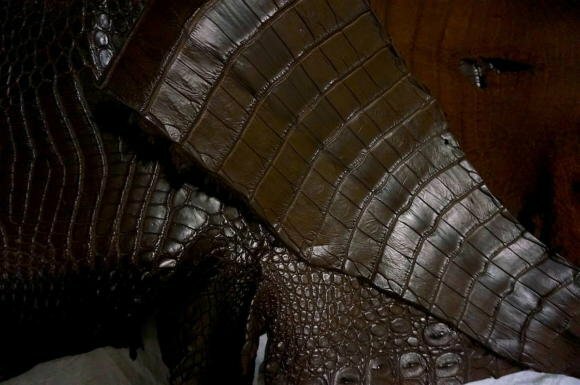 Hi Simon, given that you have a few toe caps why not try a split toe Norwegian, a wingtip brogue or a Monkstrap? Re. leather cases; try Sagebrown, Forzieri, Notonthehighstreet. 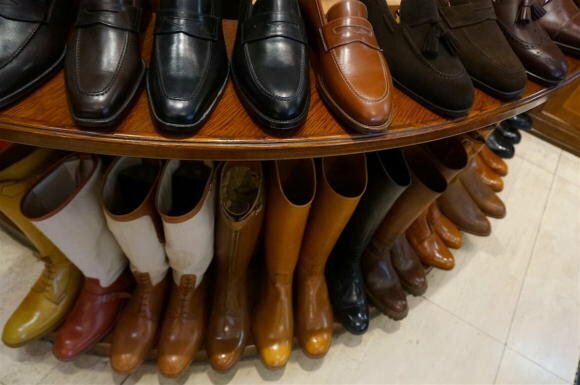 I do have styles in all of those, but you’re right, I have mostly plain oxfords or cap toes. I think the reason is that I prefer to find interest in, and experiment with, the subtle styles of the maker – the last shape, the welt width, the toe spring etc. Rather in the same way that I rarely buy brightly colour or patterned tailoring. I still want to commission bespoke riding boots but I am still not set on the maker. 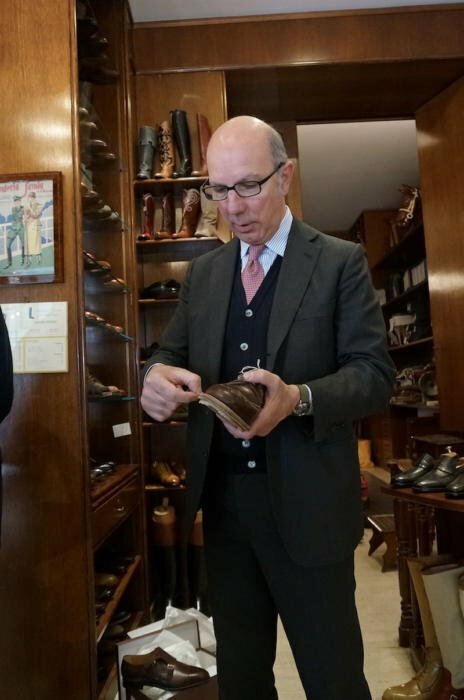 Most bespoke shoe makers have limited experience with boots and it is a little bit scary to gamble between 2000 and 5000 EUR when I don’t know if the result will be good. Maybe you could recommend some addresses where you had the best feeling that they are capable of making good bespoke riding boots. Stivaleria Savoia is one of the very best boot makers in Italy. Until 1950 the Savoia Cavalry Regiment was based at the barracks in via Vincenzo Monti, just a short distance from the Stivaleria. 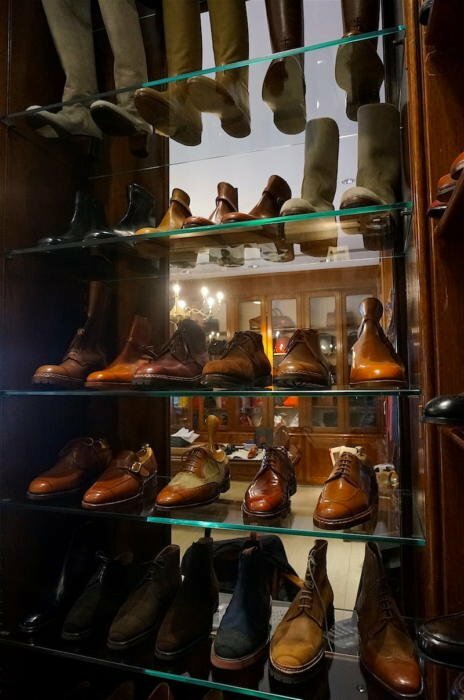 Another great bootmaker is Stivaleria Mercurio in Rome https://www.mercurio1932.it/ . They make boots for the Officers of the Carabinieri Mounted Regiment and have a great style. Schnieder Boots in Clifford Street are the makers to go to; it’s their speciality. Otherwise, Horace Batten in Northampton. Thank you, K K. I will check them tomorrow! Hristo – As others have said, Schneider in London. The other alternative – and a very good value (although much less than it used to be with the current FX rate) – is Vogel in New York. I bought a pair of ready made penny loafers from Stivaleria Savoia few years ago and the quality is really good. I made enquiries for a bespoke pair of oxfords but I learned that the price for each pair of shoes includes the cost of the last. With other shoemakers in Italy the last is paid only with the first order . Thanks, although that pricing approach is not consistently the case. Some makers are happy to spread the cost over several shoes – which is what a fixed price effectively does – where others are not. 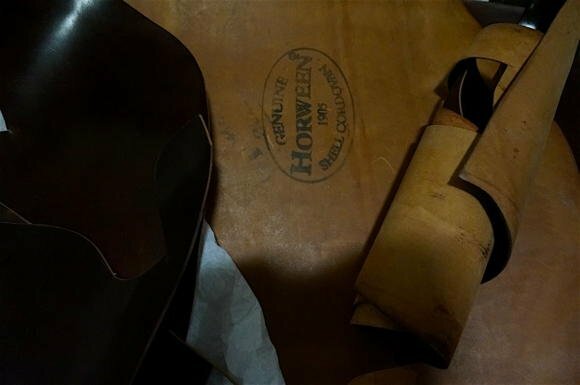 The biggest issue in recent years is that men don’t tend to order consistently from one maker over their lives, and therefore makers feel they have to add more for the last work into the first pair. If the shoemaker insists on charging in full for the last, it should effectively be yours to keep. So you should insist on taking ownership of it if you are made to pay for it. You could then always bring back your last if you wish to order a second pair. If the full price is not charged at the first order, and just factored in, this is perhaps a matter for negotiation. Thanks for the response on styles Simon (comparing makers and their craft is easier when comparing similar elements…). Hristo, not sure where you are but in the UK Schneider (Mayfair) and Davies (Wales) are regarded to be amongst the best riding boot makers (Google Horse and Hound etc. for reference). I have an off-topic question. I want to buy the ultimate summer shoe/slipper that I will wear mainly at home. I’m thinking of the Sagan from Baudoin & Lange or the Portland from Edward Green. Any thought about the best buy in terms of quality and fit? They are both very good in terms of make – B&L arguably better value given they largely sell online. But the biggest difference is style, really. B&L are slippers. Wearable outside, but really glorified slippers with little internal construction. EG is much more like a regular shoe – with a lot less structure than other EG shoes, but still more in terms of toe puff, heel, sole etc. If you’re going to wear them mostly at home, either is feasible but maybe B&L is best. I have visited the show a few days ago…Had not been there since 30 years. I have purchased my first pair of polo boots (bespoke) there. It is now owned by Marinella and the whole store looks like a shadow of its former self…how sad really. The bespoke ones are – I watched mine being made. The ready-made shoes are not, though. 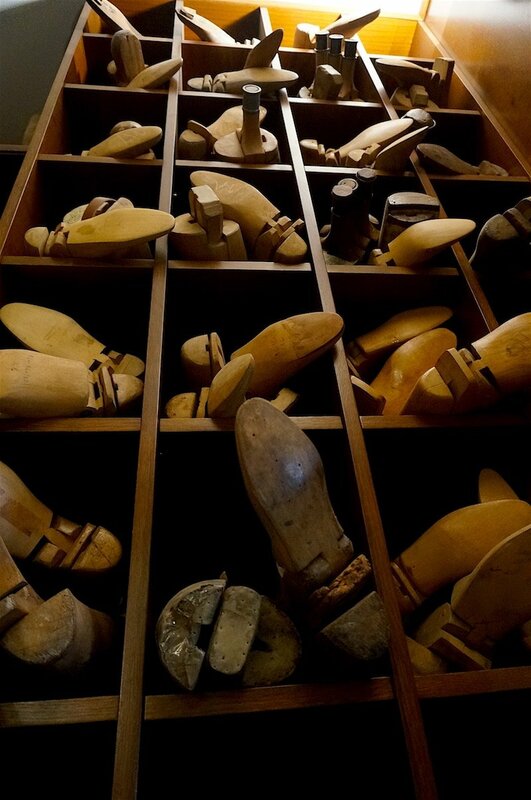 Well, as most of the bootmakers in Italy, Stivaleria Savoia was forced to shift the majority of its production to shoemaking. But its shop and lab are still up and running and in very good shape. For saddles, bridles etc.. you’d better go to Selleria Pariani, http://www.pariani.it. 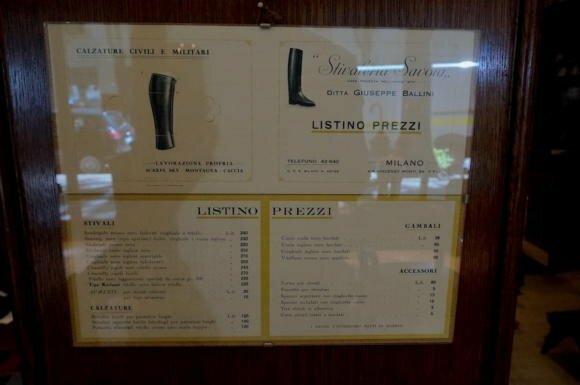 A new bootmaker has recently made his appearence in Milan: Franceschini Stivali Milano, http://www.franceschinistivali.it. I presume they are not actually from Milan, having his laboratory in Perugia (region: Umbria). Know nothing about their production but they will be present with a selection of samples at the Pariani 120th anniversary party next December 20th.